In the recent years in Georgia is becoming more popular and enters the concept about the “social entrepreneurship”. Despite the fact that the useing business for social goals is not a new practice. To explained it simply, the social enterprise is a business approach for the social purposes, which carries out the social mission of the business with the income generating strategies. 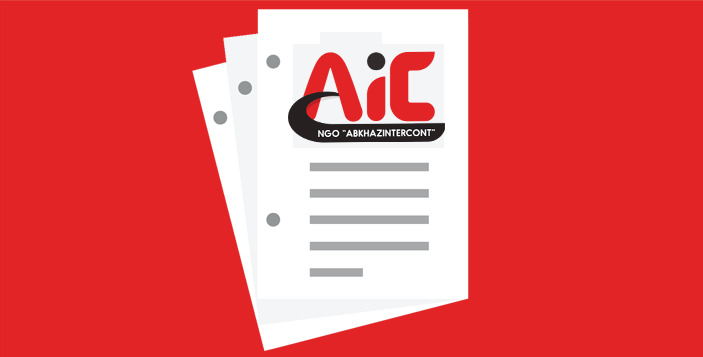 For the NGO “Abkhazintercont” (AIC) the main beneficiaries stays the socialy vulnerable population, including IDPs and local vulnerable families, who are mainly dependent on state allowence. For this social layer our organization sees entrepreneurial activities, as the best way of solving the problem, which will give us the opportunity to support these people’s employment to promote their socio-economic integration. 2. To employment of the beneficiaries, to creates sustainable source of incomes, to support to the economic integration and improving the quality of life. For the implementation of the program organization has a real causes, the necessary technical possibilities and trained human resources, with the support of the following non-governmental organizations: Eurasia Partnership Foundation, the Center of Strategic Research and Development (CSRDG) and People in Need (PIN). Since 2012, the three employees of the organization have mastered the theoretical course in the Social Entrepreneurship and introduced witht the practical experience of the four countries (the Czech Republic, Slovakia, Hungary and Poland). In 2013, the organization has created its own educational and demonstration Social Enterprise in Geguti village, Tskaltubo Municipality, with the using the modern rural/agricultural technologies in the greenhouse and producing vegetables and berry crops (strawberries, raspberries, blackberries and others). By providing consultations of the organization’s specialists and experts was received highly effective results. In the Enterprise are employed four permanent and three temporary IDP families from Abkhazia. * Social enterprise development is a means to strengthen the organization’s financial independence.